Natural Balance Delectable Delights Venison Dog Treats are Woofalicious! We had a long borin’ day here with it cold and rainin’ outside. We stayed in the house, napped, napped and napped some more. After a while, all ya can hear is the rain a fallin’ and ya so darn tired from layin’ there that all ya can do is lay there some more. But then….my Lady brought in the mail and packages for the day and whada ya know! Us pups got a goodie package from the Chewy.com folks! WOOF!!! That sure woke everybody up! They sent us some Natural Balance Delectable Delights Venison dog treats to taste for em. Yum! Ya can bet that woke us all up! We were all on our feet in a flash to check em out! I believe the whole pack got excited over the Natural Balance Venison Dog Treats! I could barely get any pictures for you! Like Molly said, they did look like strips of steak that had been cooked on the grill. They also seemed soft and chewy. Even while taking the pictures, I could tell they were going to love these dog treats! I certainly had all their attention! All 7 of them were gathered around watching and waiting. I love the Natural Balance products and if y’all remember, we tried out the Natural Balance Dental Chews dog treats a while back to help reduce plaque and tartar. All the dogs really enjoyed those so I was sure they were going to love these too. I wasn’t wrong. I actually had to slow them down a bit! They were wolfing them down! You would think that they hadn’t had a meal in a week, instead of a few hours ago, the way they were acting. Actually, this was the first ever of venison treats we had tried. I hadn’t realized how much they would love the venison dog treats! Maggie is the choosiest one and she really enjoyed them – even more than her favorite beef treats! I love the Natural Balance Delectable Delights Venison dog treats because they are made with high quality venison and they contain NO corn, wheat or artificial flavors or colors. Since they contain no wheat, it means even Sallie can have them! And, of course I made sure they are made in the USA. 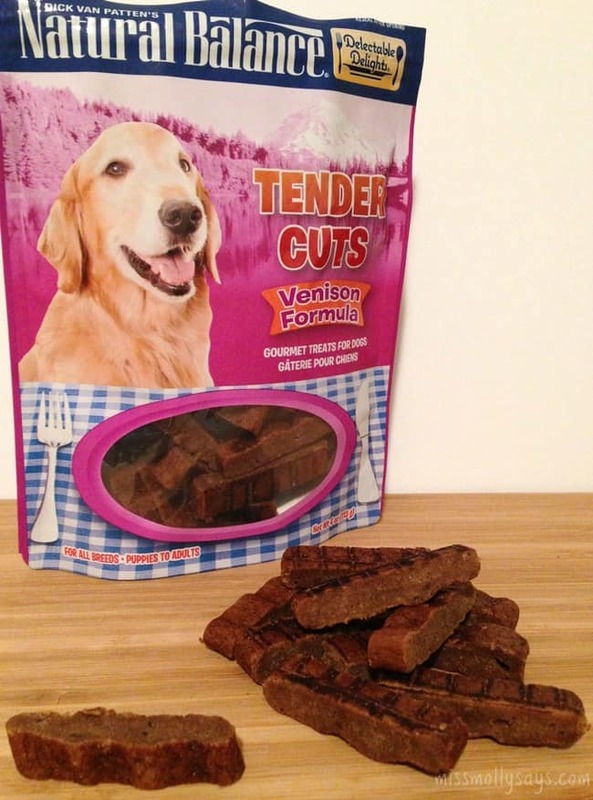 Now, the pups have a new favorite in the Natural Balance Delectable Delights Tender Cuts Venison dog treats! These are great for training exercises and a ‘just because’ treat! Yep, we have a lot of those ‘just because’ moments around here. If your 4-legged friend would love to try these woofalicious Natural Balance Delectable Delights Tender Cuts Dog Treats, you can find them at Chewy.com! For more information about Natural Balance Delectable Delights and other treats visit Chewy.com. Fan them on Facebook and follow on Twitter! You don’t want to miss out on all their yummy pet treats, dog food and more from Chewy.com. I was provided with the product above from Chewy.com. No other compensation was received. All thoughts and opinions stated here are 100% my own. These sound great. I like that they are mada in the usa because we have had some scares from treats imported. from China.I am sure my dogs would love the venison treats. I love treats for my dogs and they love them too. Win, win. I bet my pugs would love these! I may have to look for a small package to give them to try. 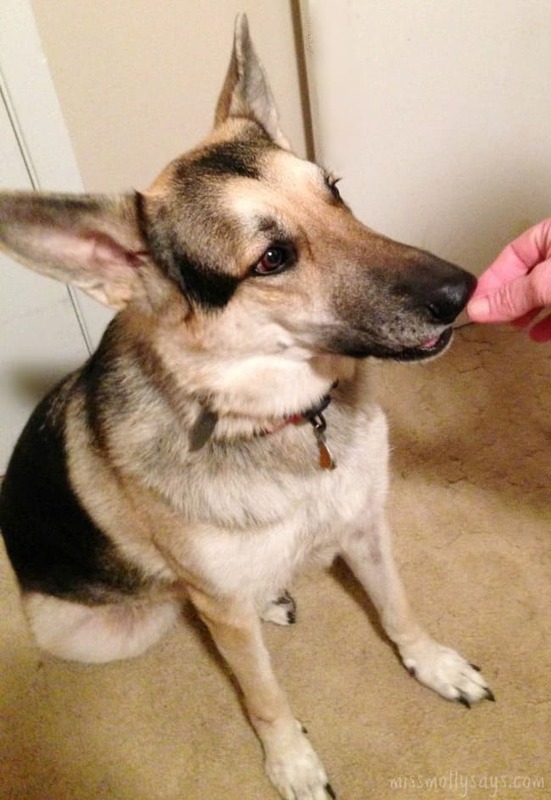 Great review and beautiful dog!